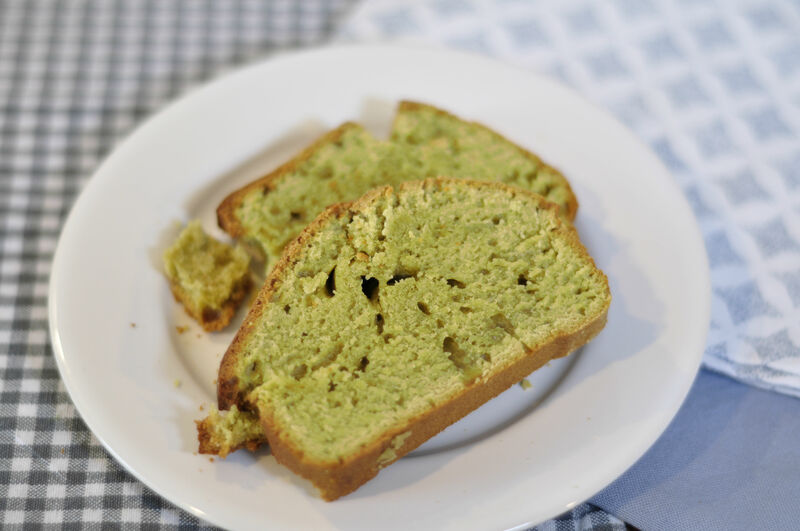 Why accept a piece of (matcha) cake, when you can have (both the cake and) the recipe? 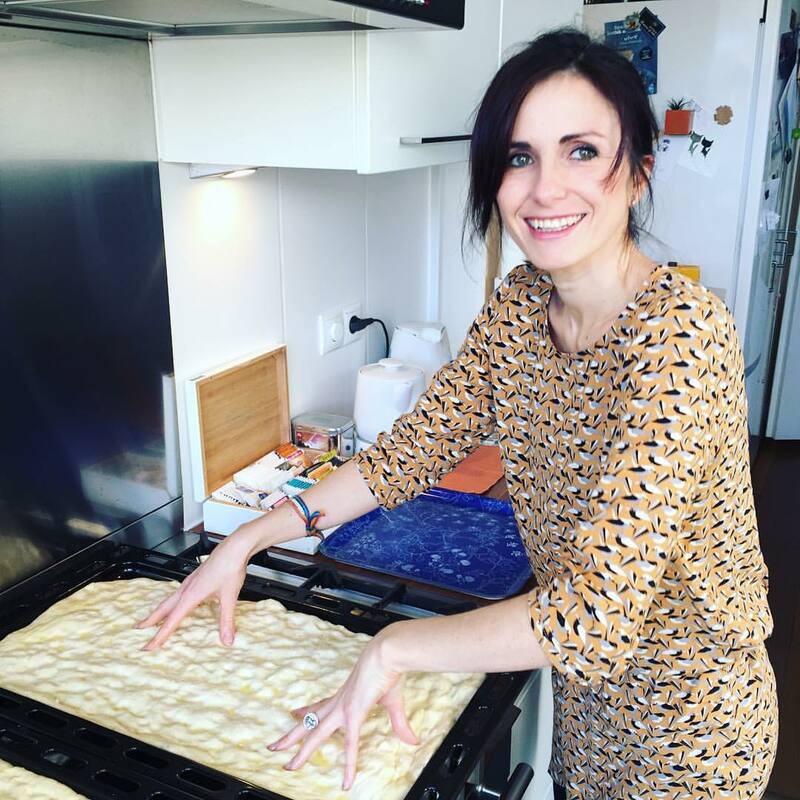 When I started giving away my sourdough starter, last winter, I didn’t expect it to become such a surprising way to connect with people of all paths of life. In weeks, I saw my Elvira being kneaded into beautiful breads of all shapes and types by the hands of many friendly strangers. One of those pairs of hands was Yuki’s. I offer my sourdough for free (want some? Get in touch via As Soup As Possible Facebook page), but Yuki insisted to bake me some matcha cake in return for his batch. What could I say? I love the intense vegetal, somewhat astringent flavour of matcha and had never used it to cook, so I bade up and asked him to bake the cake for As Soup As Possible YouTube channel. H e was so incredibly kind to accept. Matcha is a stone-ground powdered green tea used in traditional tea ceremonies. 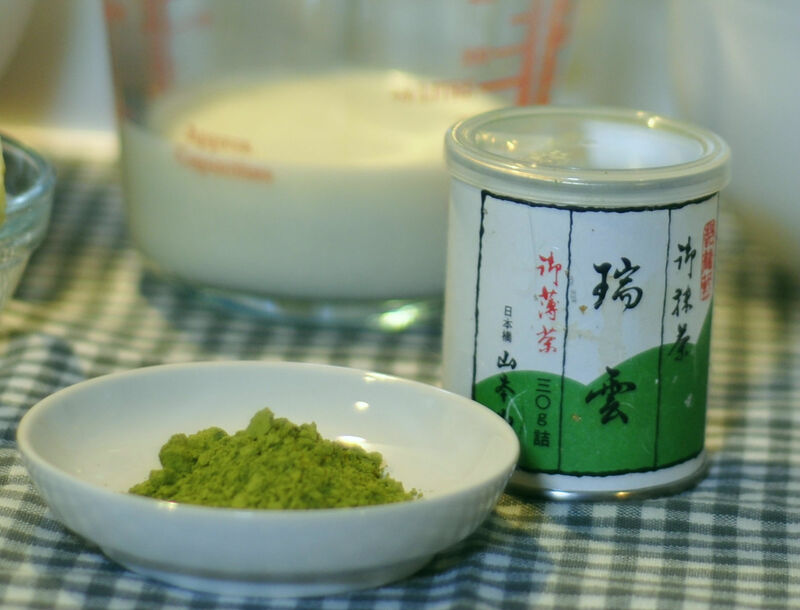 The plants destined to the production of matcha are grown in the shade and picked for the finest buds, which are then dried and ground into a thin powder – which also appears as a colouring and flavouring ingredient for food and drinks in many recipes. Rather than being infused like loose leave green tea, matcha tea is blended in hot water with a typical bamboo whisk and, because of the way it is prepared, it contains about three times the amount of antioxidants. This characteristic and the health benefits supposedly ensuing from it have made matcha very popular among the wellness crowd and earned it the designation of superfood. This is no “super-recipe”, though. Admittedly, it’s an easy, unpretentious, student-proof recipe, presented by Yuki with some insight of his life as a bike-loving Japanese student in Europe. I’m sure you’ll love both the cake and the cook. Cooking time: 10′ preparation + ˜45′ baking. Melt the butter in a cooking pan, together with the milk. Mix flour, baking powder and matcha. Merge all the ingredients in one bowl and mix them into batter. Pre-heat the oven to 180 °C – static. Pour the cake batter into a greased baking tray. Bake for about 45 minutes (baking time can vary according to the specific oven). You can serve this matcha cake as is, with a cup of matcha tea, or with a side of cream, fruit or ice-cream. You can replace butter and milk with sunflower oil and rice milk to obtain a dairy-free version of the same cake. 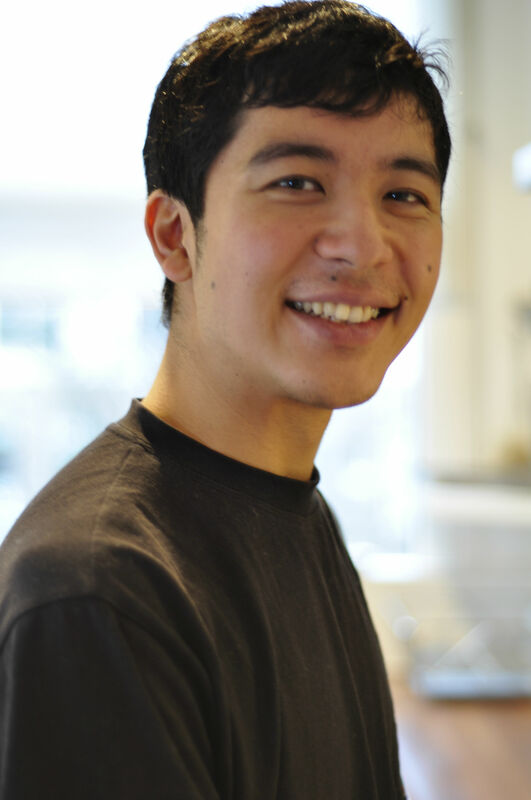 Yuki Yamamoto is studying Transportation Planning in Amsterdam, where he lives in a shared apartment he chose because of the kitchen. Born and raised in Tokyo, he loves cooking Mediterranean food – and still frowns recalling that time he had trouble finding ricotta as a university student in Kyoto. He is an instinctive cook who struggles to stick to cookbooks. After accepting to cook for As Soup As Possible, he realised he needed to practice to work his matcha cake into a standard recipe… I’m sure his Guinea-pig flatmates are grateful I invited him. Yuki loves cycling and cats. After his master’s degree, he would like to stay in Europe and work with transportation, possibly combining it with cooking. All I can think of is kitchens on wheels, but who knows what the future brings! Would you like to be part of this video section with your own recipe? Use the Submissions page to suggest your dish. Yours could become one of As Soup As Possible’s next Kitchen Stories. Previous PostCoffee and Cake (from Jail with Taste).